Rising from a square base with great depth of relief. 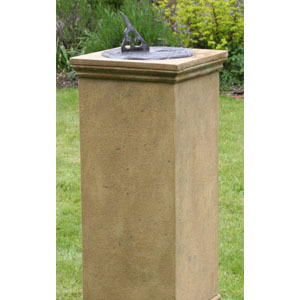 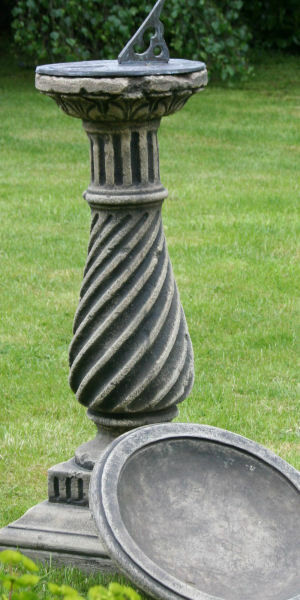 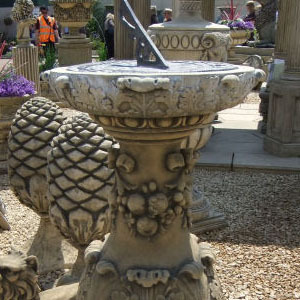 The barley twist stem and naturalistic erosion to the main body and upper edge, surmounted by a hand antiqued lead sundial with gnomon. 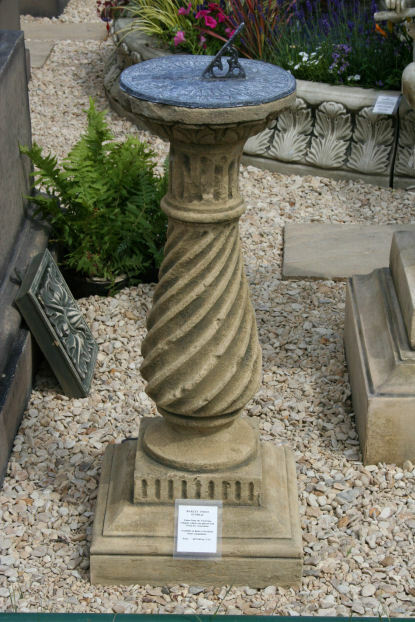 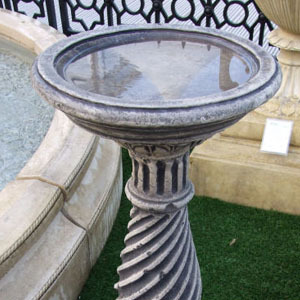 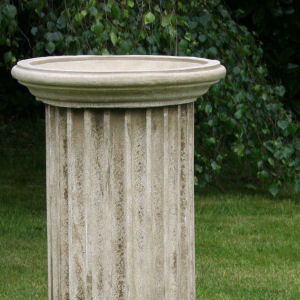 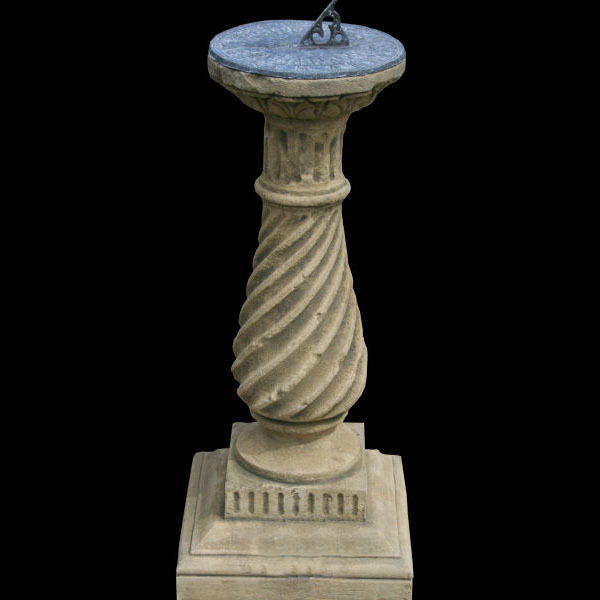 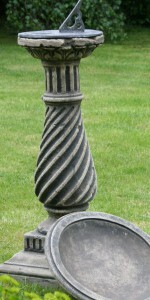 This also has the option of becoming a birdbath with the addition of the birdbath bowl.